Heres a new extension for the fans of the animated movie Coco. It contains themes with pictures of the characters and shots from the movie. Even we have seen the movie and we would suggest that you enjoy this movie at night, cuddled up in the warmest blanked (it doesn’t matter that it’s summer and a hundred degrees outside), with your favorite food and snacks, and of course with family or your partner, or even alone with your dog. This movie will definitely make you sad and make you appreciate your family more. This beautiful animation plays splendidly with elements of Mexican folklore and fine art. We promise that the colors and the animation will leave you breathless. Despite his family’s baffling generations-old ban on music, Miguel (voice of newcomer Anthony Gonzalez) dreams of becoming an accomplished musician like his idol, Ernesto de la Cruz (voice of Benjamin Bratt). Desperate to prove his talent, Miguel finds himself in the stunning and colorful Land of the Dead following a mysterious chain of events. Along the way, he meets the charming trickster Hector (voice of Gael García Bernal), and together, they set off on an extraordinary journey to unlock the real story behind Miguel’s family history. 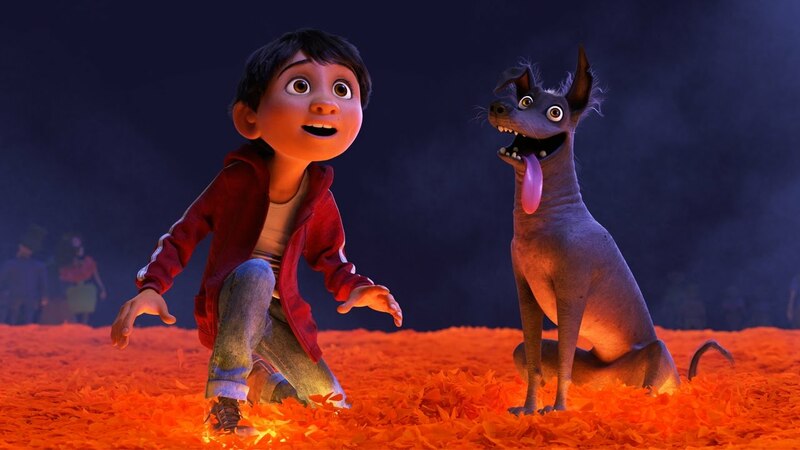 Not to spoil the movie, but we had to mention our favorite character in the movie – granny Abuelita and the dog, Dante. They will definitely make you laugh during the movie.